Have you ever played RPG games? No? If you have never played or if you have played RPGs games, but they are Online games and you have wasted your data on that game, don’t worry because there are many offline RPGs games available on the internet. As you know, online games charge too much data and you cannot play online games if you don’t have internet connection or low internet connection. So there are lots of problems in playing online games and you sick of the online games. If you want to play offline RPG games and you want to play the one, don’t worry, there are lots of offline RPGs games. RPGs no wifi games has a larger mass of loyal followers than any gaming genre. It is one of the best games on which many people spend many hours. It is also one of the genres that hit first on Android and there are hundreds of choices in it. So if you want to play offline RPGs games and want to best one to play, I have given the best ten offline RPGs games. So choose according to your taste and enjoy an offline game. It is one of the best offline RPG games. As you know, many RPG games can be played only online, but this game is different from all that games. You can play it offline, once content get downloaded on your Android phone. Eternium is one of the games that are free for playing and purchasing is optional. In this game, you will play as a warrior and you have to kill the enemies as you have various types of weapons to kill the enemies. So Just kill the enemies and loot all the gems, money, ornament that they have. As you go up the level, your power will be increased as well as your enemy’s power will be increased. So you have to play carefully and beware of your enemies attack. It has the best interface and 3D graphics. Over one million downloads prove that this game is worth playing. So download this game from the given link. 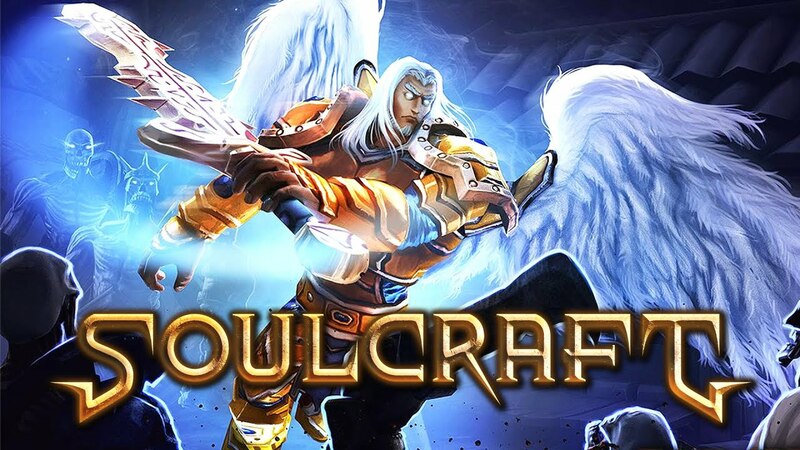 Action RPG (free)- SoulCraft is the best RPG games that don’t require a WiFi or an internet connection to play. SoulCraft has the best graphics and the best interface that allow you to know about your enemy’s location. It has over two lakh downloads and a positive response from its user. In this game, you are an angel who is on the mission to save the human race and fight for them. Now it’s upon you to win or lose the fight. If you want to win the fight, you have to use all your power and skills. This game has five different modes playing as time run, arena, hellgate, defense and boss fight. So play whichever you want to play and whichever suits you. There are lots of weapons you have. So you can use various weapon to kill the enemy. This is an amazing offline RPG game. So download SoulCraft in your mobile. This is another role playing games that don’t need a wifi or an internet connection to play. Stone of life is one of the favorite RPG games. It has best 3D graphics and best interface that usually attract the game lovers. Stone of life is a story of ancient time. A hundred years ago, there was a stone in which all spiritual power dwelt. After some time a war broke out because one wanted to take control on stone, but the good soul wanted to save the stone and keep it hidden from sinners. Ingnish, the defender, who wanted to protect the stone won the war and after a hundred years, A group of sinners has broke out war once again. Now you have to help the ingnish to protect the stone from going bad hands. You have many weapons to protect the stone. So download the game and start protecting the stone. To download this game, just follow the following games in your mobile. 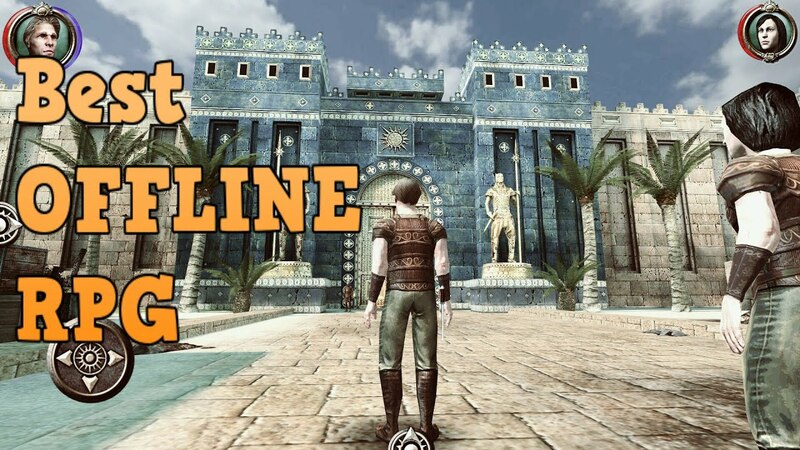 This is another best offline RPG game and it is also free to play. 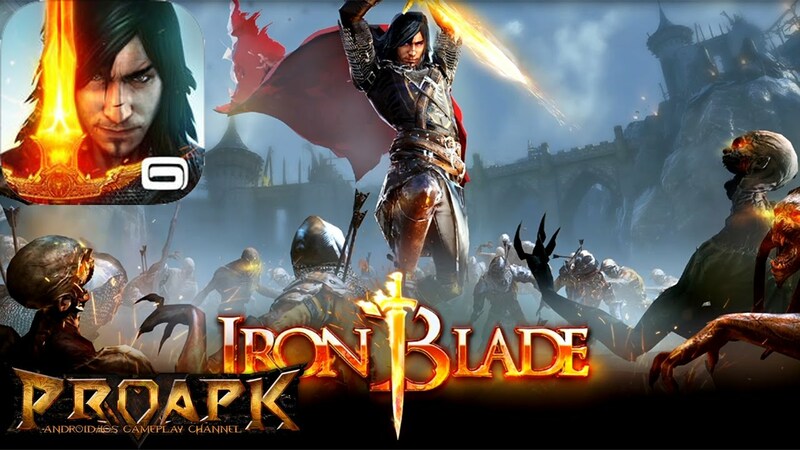 Iron Blade one of the most famous offline RPG that has over 80 thousand downloads and best reviews. It has a beautiful interface and 3D graphics. This is an ancient story in which a group of sinner who has spiritual power, once had come to rule over the world, but some prophecies came together and defeated them, but the prophecies predict that they will come back again. They were right the group of sinners has come back, now with more power. Now the responsibility of saving the world is on you. So come ahead and face them. So if you want to save the world, just download and start fighting against the sinners. This is a role playing game that is free and it doesn’t need internet connection to play. Dungeon Quest is very famous among the RPG game lovers. If you are one of that, you have also heard about this game. In this game, you have to fight with the darkness and the owner of the darkness. The developer of the game has upgraded it and added some most fabulous features in it. If you are sick of fighting with the same enemy, you can choose another one and more powerful. You can play this game as long as you want to play without any pay wall restrictions. Now you are able to bring a new character by hireling options and you can also make your own army to fight with more powerful enemies. So if you are ready to play, just download this game by following the given link. Action RPG- Dungeone Hunter 5 is another action RPG game and it is no wifi RPG game means you can play this game wherever you want because it doesn’t need wifi to play. 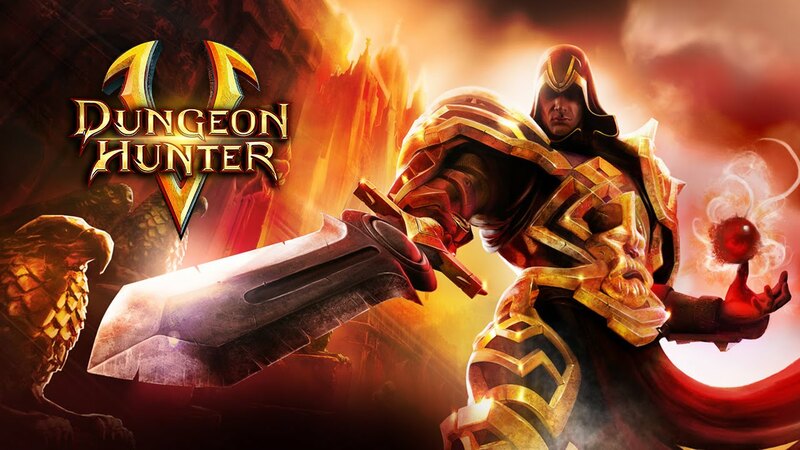 Dungeon Hunter 5 RPG game’s 3D graphics and its perfect interface attract the game lovers. In this game, darkness is going to rule in the world and to rule, they are going to fight with you. So you have to ready for their attack. As you have lots of weapons that can finish them. So use the deadly weapon against them and save the world. If you want to play this fabulous RPG game, just download it from below link. 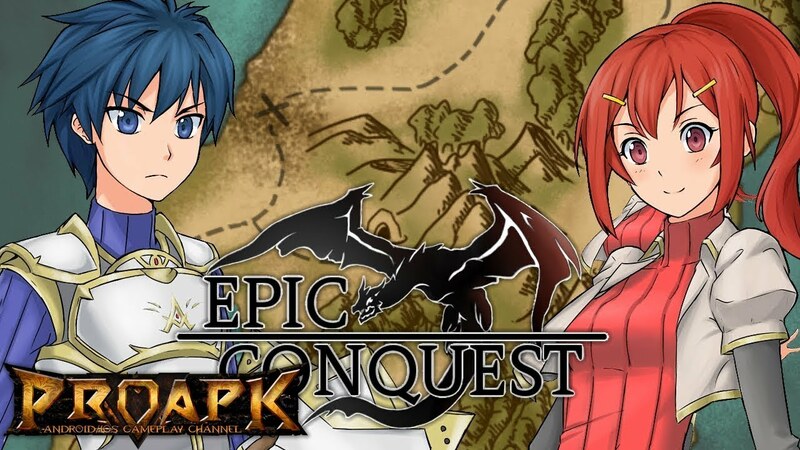 Epic conquest is one of the famous RPG games that don’t need a wifi connection to play. Over twenty thousand downloads in such short time prove that this is going to be number one games in the world of RPG game. In this game, you have to fight against demons who want to rule on the goodness. As you know, goodness always wins over evil but this time demons have more power. So you have to beware of your enemies and just tell them that they cannot rule over the world. 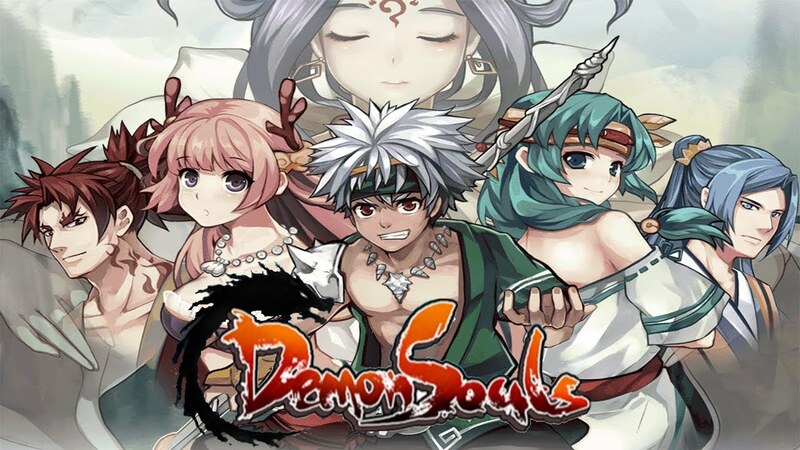 If you want to fight against demons, just download this game on your mobile phone. To download this game, follow the given link in your mobile. Zenonia is another best RPG games for RPG game lovers. It is also one of the best games that don’t wifi connection to play. Its 3D graphics and the best interface prove that it is the best RPG offline game. The story of the game is ancient. Long year ago, A war was fought between goodness and darkness. The owner of darkness wanted to rule over the world and color the world into his color, but goodness won the war and restores the happiness and peace of the world. As time passes, mankind’s heart filled with greediness and selfishness. So darkness again started to attack on the goodness. Now goodness needs a hero who can fight against the darkness and restore again peace and happiness. If you want to become a hero and you believe in yourself, download the game and fight against the darkness. This is another dynamic action offline game. This game is also based on the war in which you have to fight against evil. You are playing a heroic and many darkness villains come to rule over the world and they also want to finish the humanity. So if you don’t want that darkness rule over the world, just come ahead and fight with them. This game has started to become popular and got enough downloading number. It has 3D graphics and a good interface. There are hundreds of competitive levels. So download this game and enjoy playing. Legendary Heroes is also one of the best RPG games that don’t need a wifi connection to play. This is a war game in which all legends are invited to protect the world from the darkness and evils. In this game, you have all power to control the legends. Its 3D graphics, better interface and controlling power give you the best experience of war. This game has over ten thousand downloads. So if you also want to enjoy this game, just download this game now. This is also a combat RPG game that doesn’t require wifi or internet connection to play. There two legends in this game and each have their story. They fight for truth and peace. This game has 3D graphics and best interface. You have all controlling power. It means it is only your responsibility whether you will win or lose. So if you don’t want to lose, just play this game and defeat the evil and darkness. This game is free for Android users and no wifi game. So you can play this game wherever and whenever you want to play. So these are the best 10 RPG games that don’t need wifi to play. RPG games are more popular than any other genre game, but all games are online game. So I have researched and find some best offline RPG games for you. Every game has its own property pros and cons, you can read the description and according to your taste, you can download it. You can also comment about this article in the comment box. I have also given some other article’s link, you can read it. Thanks. 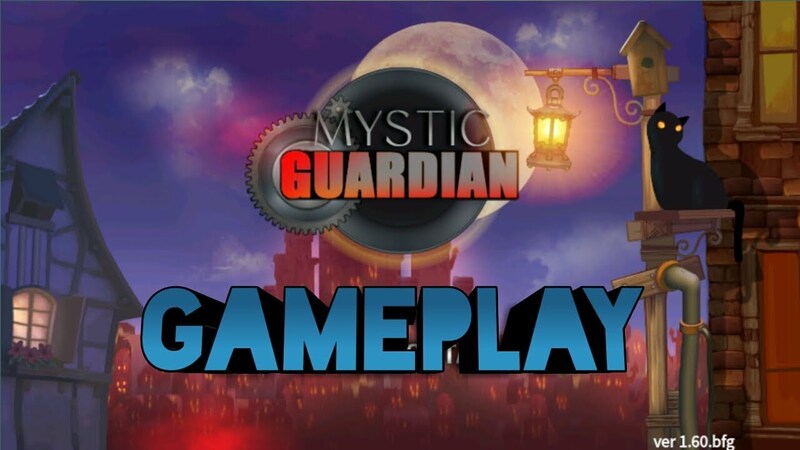 This entry was posted in Android Games Without Wifi, No Wifi Game 2018 and tagged Best free offline games for android, Best offline RPG Games for android phone 2018, Offline 3d rpg games for android, Offline rpg games for android apk, Offline RPG games for android free download, Offline rpg games for mobile phones on January 10, 2018 by satyenhacks.